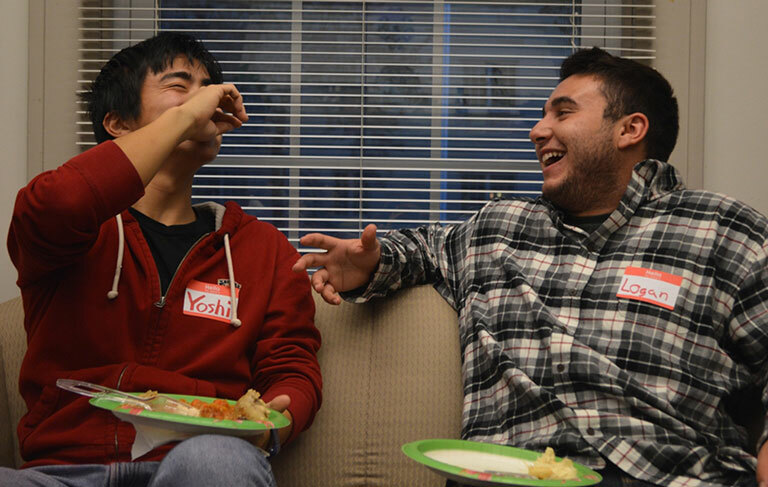 Throughout the year, IU’s cultural houses, such as La Casa Latino Cultural Center, the Neal-Marshall Black Culture Center and the Asian Culture Center, have been places students can relax, celebrate and meet new people. Every year, Neal-Marshall provides a time every day during dead week to take a break from studying and eat. This year, it added a cultural component to its dead week offerings. The center will celebrate Kwanzaa, a holiday celebrating community and family, during dead week and explore the seven principles of Kwanzaa every day, Neal-Marshall director Monica Johnson said. Some of these principles include unity, self-determination, purpose and creativity. Kwanzaa begins the day after Christmas, but Johnson said it decided to start celebrating early as a way to learn about the holiday. She said there will also be activities to accompany the celebration. Johnson said the celebration is a good opportunity to relax in the middle of a stressful week for students. NMBCC study breaks and Kwanzaa celebrations will take place from 12 p.m. to 2 p.m. Monday through Friday this week. At the Asian Culture Center, students can drop in Monday through Friday for free soup, snacks and study time. Dylan Smith, who helps at the ACC, said the ACC will have a different, free vegetarian soup from 12 p.m. to 3 p.m. each day of the week for students to eat while studying. “Students are welcome to bring their friends and study here,” Smith said. In addition to offering food and a place to study, the ACC will have its normal tutoring hours. They will have peer-to-peer English tutoring every day from 12 p.m. to 7 p.m. and math tutoring from 11 a.m. to 1 p.m. on Friday. Smith said the time at the ACC is designed for students to relax and for students to come whenever they have time. This week at La Casa there will be free dinnersat 7 p.m. for students as a way to thank them for their support and to offer them a meal for studying, according to the center’s website. “Students have a lot on their plate right now, and if we can provide a moment where students can take a breath, we’ve done our job,” Johnson said.